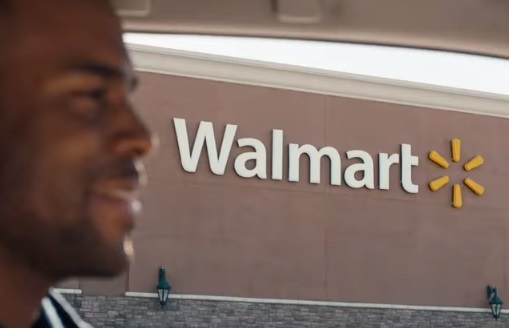 Walmart promotes the Walmart Grocery app and its free grocery same-day pickup service in a new commercial, highlighting that by ordering online fresh groceries and choosing to pick up your order at Walmart’s pickup points you never leave your car. The 30-second spot, titled “Cars”, features several persons receiving a notification on their smartphone that their grocery order is ready for pickup. After selecting the “Check In” options, they are then seen driving their cars to a Walmart’s pickup point, where they remain at the steering wheel and Walmart employees load the bags in their trucks. Given the fact that they are accompanied by their kids, this service proves the best option for them as it avoids the hassle. “There are more ways to Walmart” a final onscreen line reads, before viewers are invited to get the Walmart Grocery app, available for free download on Google Play and on the App Store. The soundtrack music is the 1979 single “Cars” by English musician Gary Numan, from his debut studio album, “The Pleasure Principle”, released in 1979. The Grocery Pickup is, according to the retailer, “easy as 1, 2, 3”. All you have to do is place an order online at Walmart’s website in the Grocery section, choose a timeslot and your items will be loaded directly into your car for free. In order to find out if this service is available in your neighborhood, you can enter your ZIP Code on Walmart’s home page. Walmart Grocery is open from 8 AM to 8 PM every day, excepting holidays, when working hours are subject to store holiday hours. In case you’re wondering if you need to tip the delivery employee, tips cannot be accepted, but a “thank you” and a smile are always welcome, the retailer informs. In addition to that, you can enjoy extra savings with a discount on select items by shopping those marked Free Pickup + Discount.